60 billion land animals are killed each year in order for their flesh to be turned into meat. The majority of these animals are confined to hard wire cages and gestation crates or packed by the thousands into dark, filthy sheds. Animals raised in these intensive farming systems are unable to raise their families, root around in the soil, build nests, or do anything that is natural to them. Most animals kept on factory farms will not see the sun or breathe fresh air until the day they are transported to a slaughterhouse to be killed. 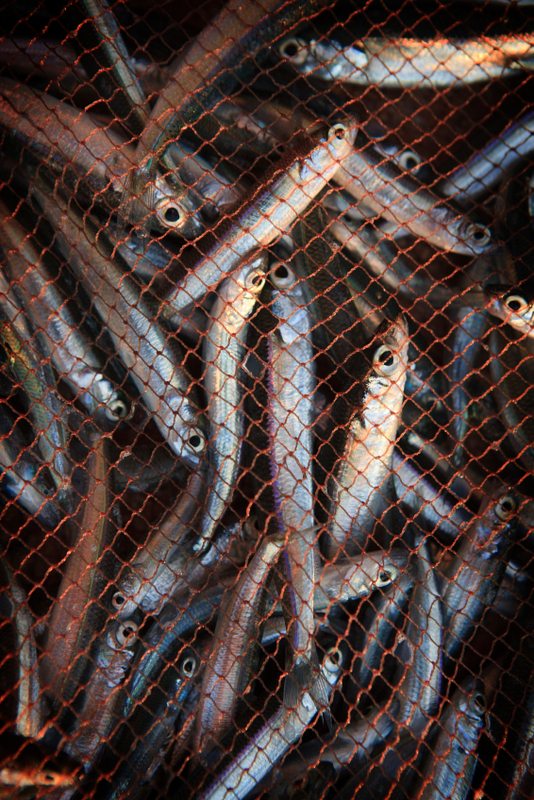 50 per cent of all the fish consumed each year are now raised on fish farms (“Milestone: 50 Percent of Fish Are Now Farmed”, Live Science, 8 September, 2009. ), where they spend their lives crammed together, bumping against each other and against the sides of their crowded cages. Unless practices are changed, it is predicted that by 2048 all species of sea fish will have disappeared (“Seafood May Be Gone by 2048, Study Says”, National Geographic News, 2 November, 2006.) forcing people to rely almost exclusively on farmed fish. A quarter of all the fish caught each year (27 million tonnes) are thrown back into the sea as waste. Birds, turtles and dolphins are also often caught in nets. 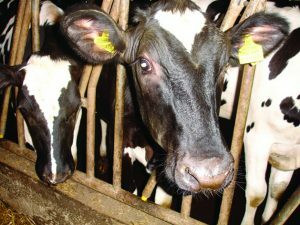 Calves have to undergo the painful procedure of castration. Calves are disbudded or dehorned. Many cows reared for beef have no bedding and live on hard slats or concrete. Sheep experience fear when they are separated from their social groups or approached by strangers. Studies show their heart rates increase when they are unable to see any members of their flock and increase even more when approached by strangers. Professor John Webster of the University of Bristol found that, like humans, sheep visibly express emotions. They show signs of depression by hanging their heads and avoiding positive actions. Though most sheep are not farmed intensively, they still suffer, for example through inappropriate handling, and extreme weather conditions resulting in pneumonia and hypothermia. 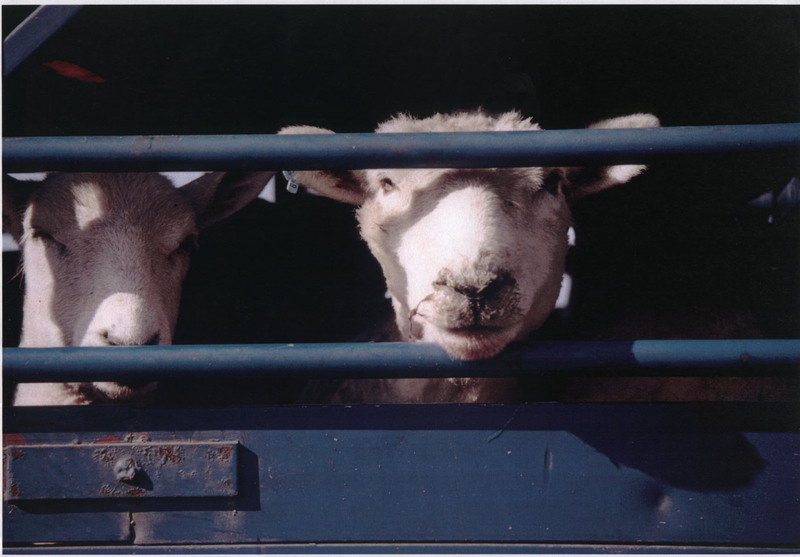 Problems such as lameness and internal and external parasites are common in sheep farming. Pigs are highly intelligent and sensitive animals. They can learn their names by 2 to 3 weeks of age and respond when called, just like dogs and cats. Pigs are natural explorers. In the wild, pigs spend over a quarter of their time exploring and often travel up to 15 km in one night. Pigs can live for up to 10 years but most pigs are killed for food when they are less than a year old. 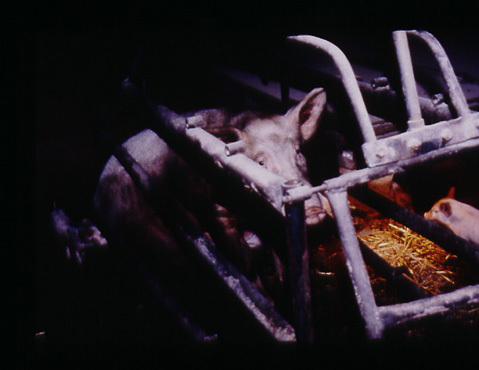 Intensively-reared sows give birth and raise their young in farrowing crates. These metal crates are so small that sows cannot turn around or suckle their piglets. While naturally raised piglets would be weaned when they are 3 months old, piglets on factory farms are removed from their mothers when they are only 3 weeks old. When in their natural surroundings chickens enjoy full lives in which they form friendships and social hierachies, recognise one another, develop pecking orders, love and care for their young, duste-bathe, make nests and roost in trees. Mother hens cluck to their unborn chicks, and the chicks chirp back to their mothers from inside their shells. This establishes communication between them. 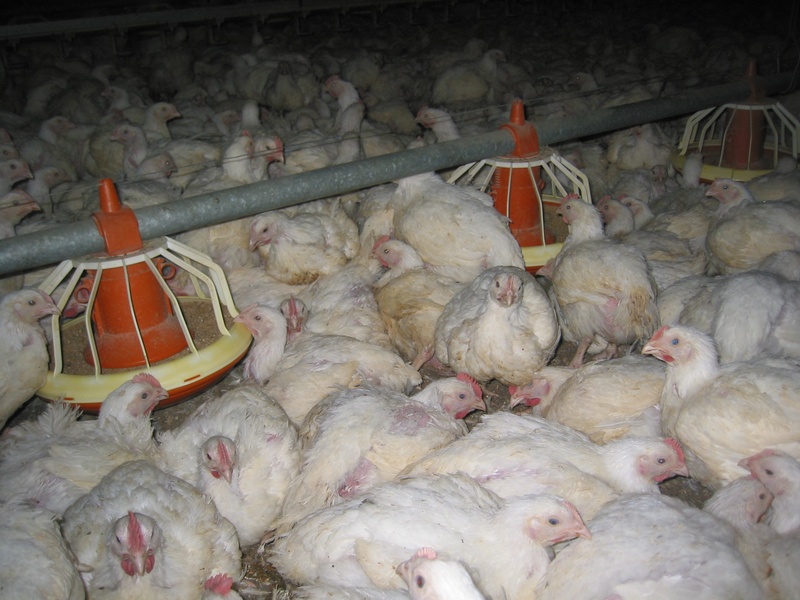 The majority of broiler chickens live in large, crowded, windowless sheds with tens of thousands of other birds. Chickens in today’s factory farms grow three times as fast as they did 50 years ago as a result of selective breeding programmes and the use of antibiotics. This method of intensively farming chickens began in the late 1950s when the use of “dual purpose” chickens for egg and meat production came to an end and new poultry strains were introduced specifically for the production of meat. ‘What a Fish Knows’ by Jonathan Balcombe 2016 reveals complex behaviours of fish, proving that they are sentient, aware and social. When fish are dragged from the water, they start to suffocate. Their gills often collapse, and their swim bladders can rupture because of the sudden change in pressure. Rearing fish in cages prevents their natural swimming behaviour. Fish like salmon naturally swim great distances. Confined in fish farms, they are restricted to swimming in circles around a cage, rubbing against the sides of the cage and each other. Fish as large as three-quarters of a metre long are forced to live in as little as a bathtub of water each.